Playing Grown Up: Five Reasons Why Being a Girl Cost More!! I wish that Mister N would just accept that it is more expensive being me, I should get more spending money and that's that. Is that fair no, but being a girl just cost more money!! Now there are absolutely men out there that are just as expensive, but I like my low maintenance man, he's cuddly. These are my top reasons why it cost more to be a girl, none of which are our fault. 1. Hygiene Product- This is where quality and quantity both matter, you need lots and you need "your" brand. Other than that I think this should just be obvious. 2. Make Up- At lease in every girls life she has spent some money of beautification. We are expected to look polished for most of our jobs, and mascara and lipstick are part of that. You can go cheap, but it reeks havoc on your skin, which cause you to buy expensive cleansers and has a snow ball effect. You only get one natural face and it should be treated like gold. 3. Shoes- We cannot own one pair of casual and one pair of dress shoes like a guy. Do we really need thirty pair probably not, but minimum at least five to six are needed. We need a good pair of black dress shoes for funerals, work shoes (mine are runners), runners. sandals and boots. I need way more than that, I stand by that fact hard and firm!!! 4. Clothing- Not only does our wardrobe item become outdated in appearance faster, it is also more even driven. One doesn't wear the same outfit to a funeral and a wedding as a man can, winter and summer dresses are also significantly different. We need classic "staple" pieces just to navigate our yearly lives, then add fun personal items from there. I find I lack in the "grownup" clothing department, and am heavy in the jeans and T's department. 5. Under Garments- Undies are not just undies, I have work ones (granny), nice fancy ones, full bum, not so full bum. 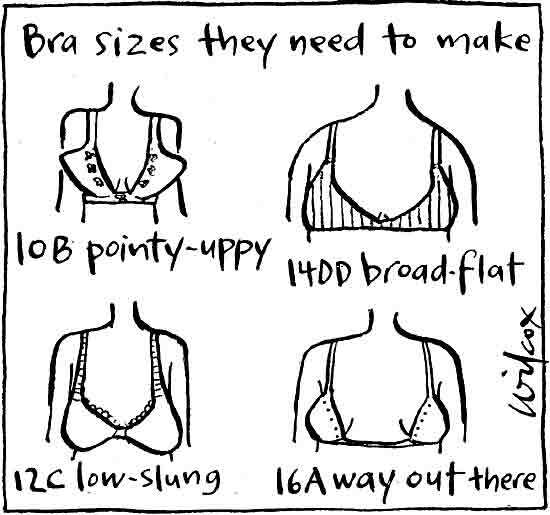 Beige, black, white are important to have in both bra and undies. 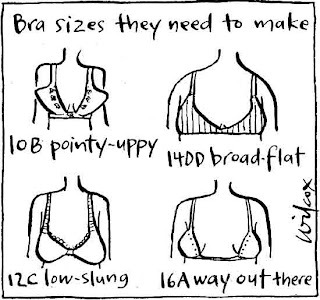 Strapless, racer back and normal are must in the bra category. Sometimes a once comfy bra becomes torture, good money needs to be spent on these items. Plus nothing give confidence to a girl knowing that her nickers are hot!!! There are many more reasons why it just simply cost more to be us, not only do these items make us happy most are a necessity. Men want us to look good, but don't understand the money that needs to be spent to do so. Very few of us are truly "natural" beauties, we all need a little boost from a well purchased product or ten. Older men understand this...thats why they fork out more dough to young women. Cause they know that in the end...their ladies are going to look smokn'!